Did you know that building with blocks teaches children an important skill that can make a huge impact on the rest of their life and the future of our society? I recently watched my two-year-old build a “castle” with blocks. At first, the blocks kept falling over, but after a few attempts, she discovered putting the big blocks on the bottom made her castle stay up. She was so proud she was able to make her castle stand on its own. 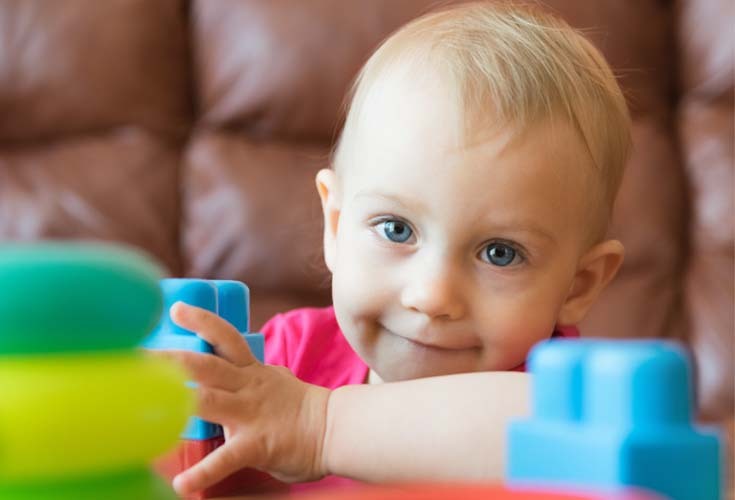 Stacking blocks may seem like a common task for children but there is much more going on than just “playing” with the blocks. By the time preschool age students enter the workforce, 65 % of the jobs that will be available don’t even exist today. You are preparing your students for a world that doesn’t exist yet…for technologies that are not invented. How do you prepare your students for an unknown future? The definition of tinker is, “an attempt to repair or improve something in a casual or desultory way”. However, if you simplify that definition, tinkering simply means, “trying to figure things out”. You may not have a plan but you are curious how something works or you have an idea and some materials, so you give it a try. You try something and if it doesn’t work you try again. You persevere. This is a common lesson learned while children play with blocks, but this is one example of how playing is essential for young children. 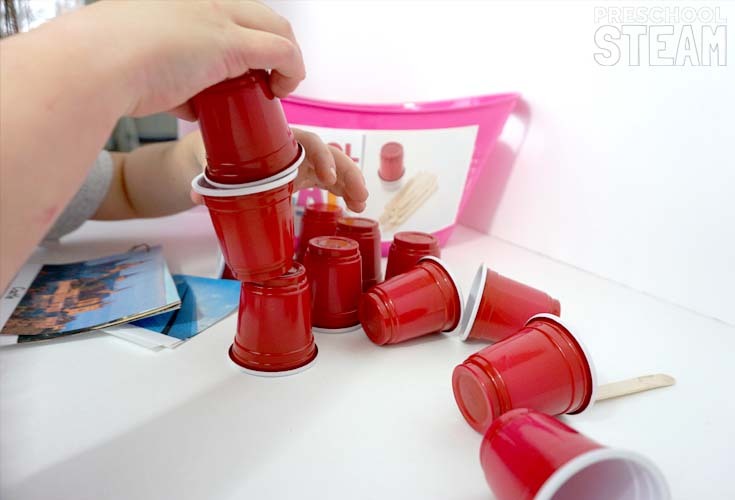 Stacking blocks may seem like a simple milestone for children but it is through these experiences that children learn how to problem solve, persevere and become prepared for an unknown future. Tinker tubs make it easy to start encouraging students to persevere with open-ended play and exploration. 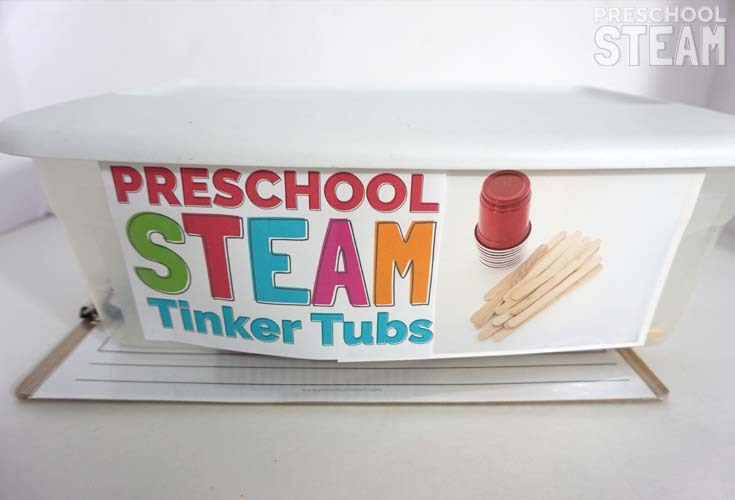 What is a Tinker Tub? 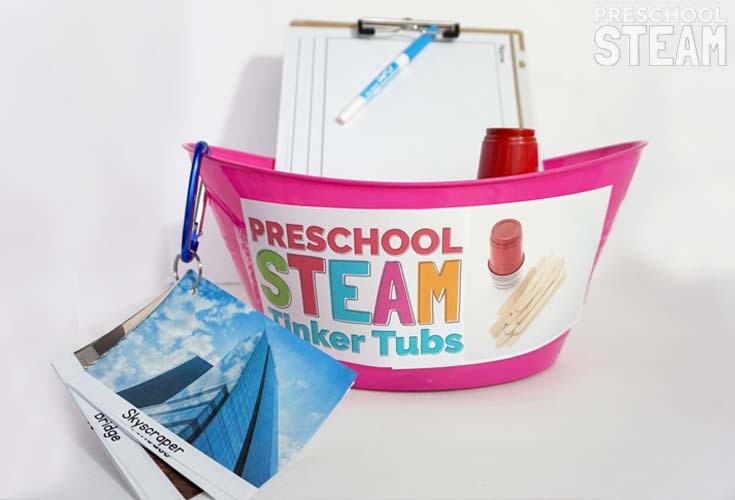 A tinker tub is a container with provided materials that encourage children to build, create and design with or without creative prompts. 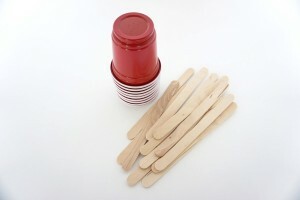 The best thing is you can use boxes, bins, tubs, even a plastic bag or shoebox works. Use what you already have. There is no need to go out and by all new matching tubs (unless you want too). 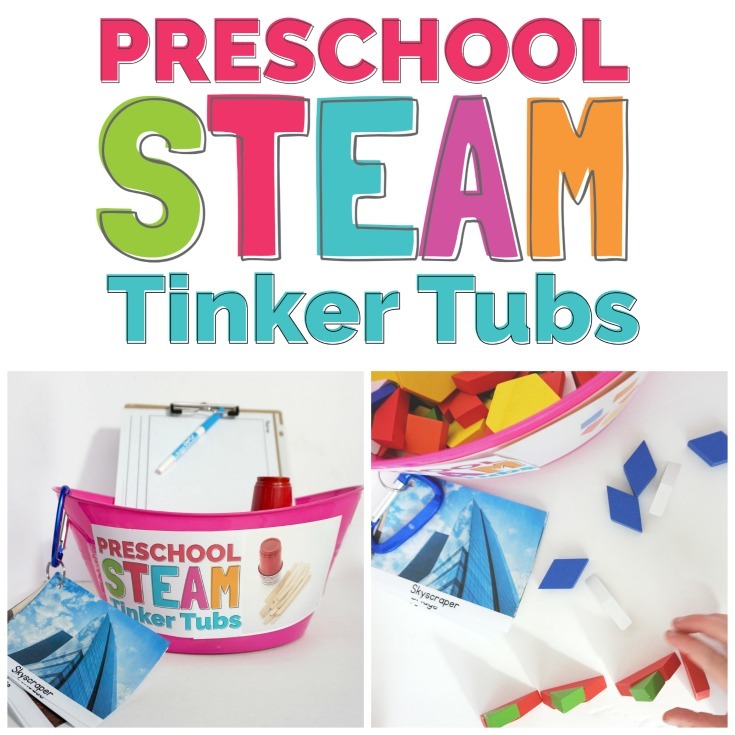 You don’t have to purchase new materials to fill your tinker tub. Use what you have! You can pick one material or mix and match. Step 3: Let your students tinker. Tinker tubs may be used individually or as a small group. 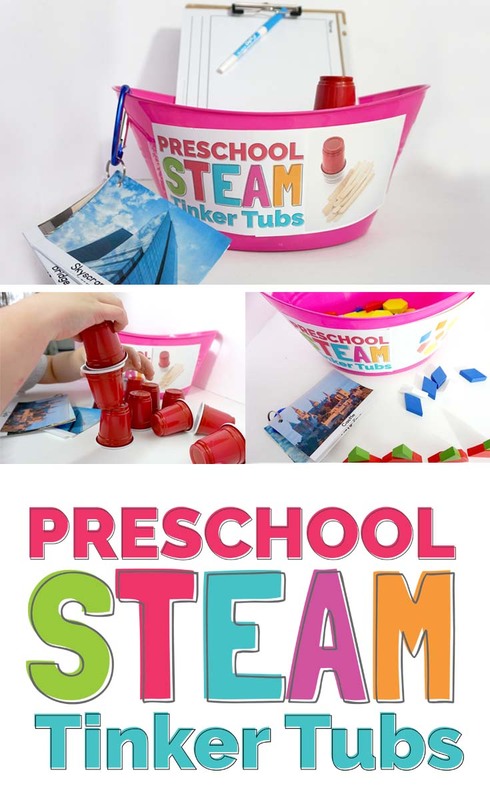 You may have to model how to get out the tinker tubs and how to clean up the tub but let your children do their own exploring with the materials. 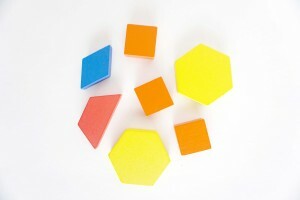 Challenge cards may be added as a creative prompt to challenge deeper thinking. Some children may have their own ideas of what they wish to build or make. That is perfectly fine! Let them build! 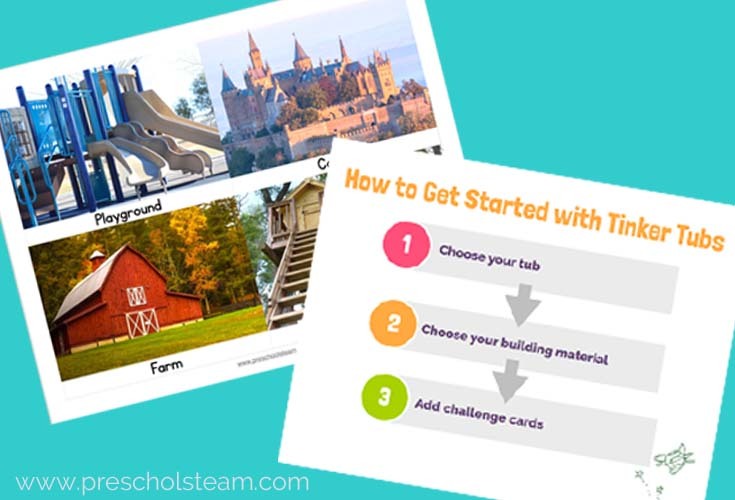 Some students may like the challenge card to help spark a new idea. Try to observe your students as they are tinkering. 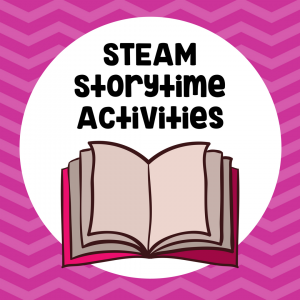 You can use these observations to plan future STEAM activities that keep your student engaged in learning. Make notes about what your students say. Write down or voice record what questions they ask. Photograph their in-process and final creations (or if possible teach them how to photograph their own work). Take a quick video to document the children’s learning and problem-solving. 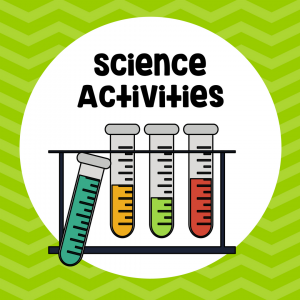 Share student discoveries with other students in the classroom. Highlight students that were having trouble but persevered and found a solution to the problem. Reflect on how you can take your student observations and questions to facilitate deeper learning through open-ended questions or furthering their questions into future STEAM activities. 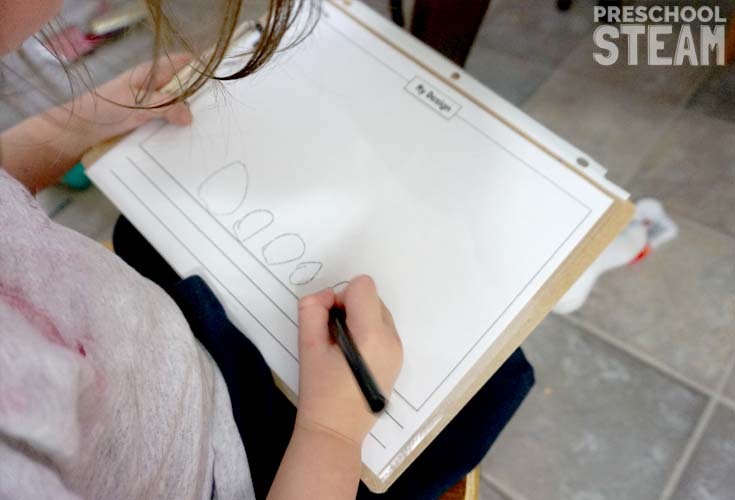 Students may reflect by drawing pictures of their creations. Prep your tubs in advance. 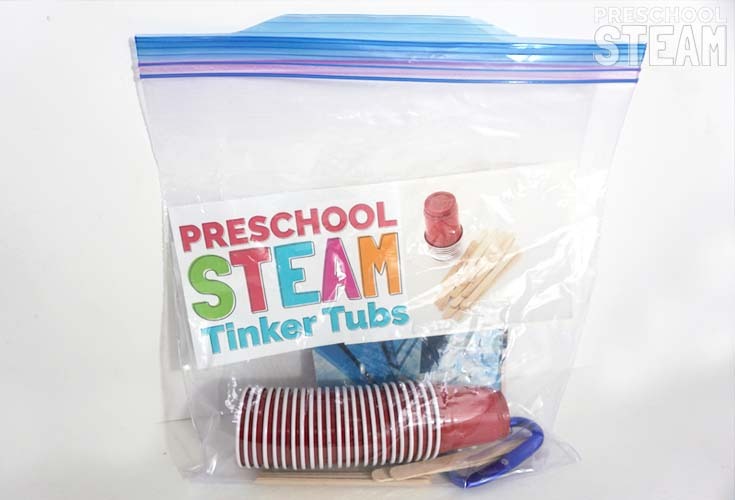 I like to store the Tinker Tub materials in a plastic bag I can easily pull out and dump into an empty bin. Start with one Tinker Tub. You can add more tubs later. Do not fill the tub with all 100 pieces of your building materials. Only put out what can be cleaned up in 2 minutes (or even 1 minute). Tinker Tubs do not replace building center. Building with big blocks provides a different set of challenges and problem-solving skills. Students may work together or individually. Try combining different materials. There is no limit to what you can use for tinkering supplies. Get the free Tinker Tub Guide! Plus a FREE set of Challenge Cards! While on the surface it may look like children are just “playing” and stacking blocks. If you dig deeper, you will see they are learning the necessary skills to help build our future. Teaching children how to think creatively and learning to be problem solvers is how we can prepare our children for the future. No matter what unknown technologies, industries, or careers lay ahead, creative problem solvers will be the innovators in their field. 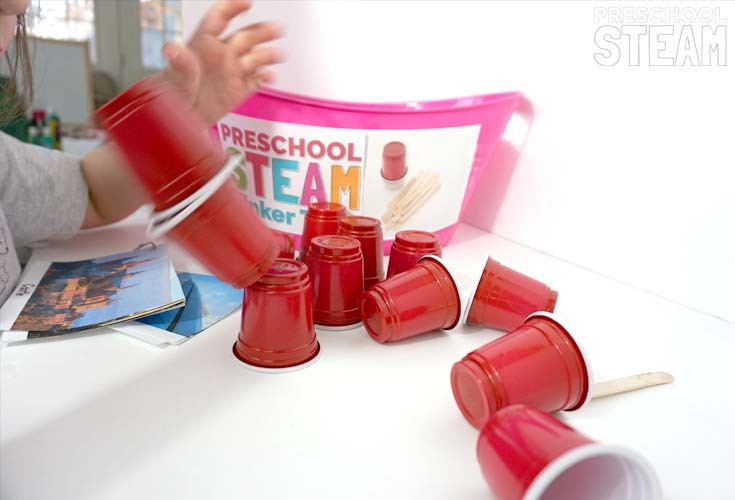 Preschool STEM Activities help students learn how to persevere and develop these essential future skills. Tinker tubs make it easy to encourage a perseverance mindset into your classroom.